"Lessons from an Improbable Journey"
Our alumni team is creating the inaugural 1stGenYale conference on campus. This will be the first time that we come together as a new alumni shared identity & interest group to celebrate who we are being first! Alumni from diverse cultural, ethnic, and racial backgrounds from all schools and years will connect with each other, share our stories, and develop meaningful friendships to continue well after the conference is over. 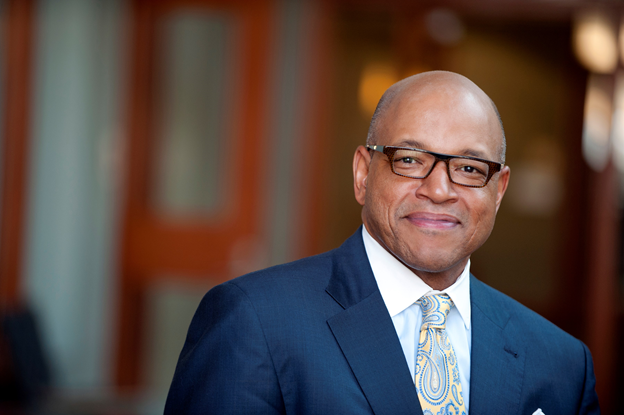 Yale Alumni Trailblazer David A. Thomas ’78, ’84 MA, ’86 PhD, President, Morehouse College will be giving the keynote address at the dinner on Saturday, 14 April. · H. Naylor Fitzhugh Professor of Business Administration Harvard Business School. His research addresses issues related to executive development, cultural diversity in organizations, leadership and organizational change. · Professor of management at Georgetown University’s McDonough School of Business, where he served as dean from 2011 to 2016. During his tenure as dean, he created a culture committed to creating transformational educational experiences that prepare students to become principled and globally minded leaders poised to serve both business and society. · Author of several books and numerous journal articles focused on managing diversity and advancement of people of color in the workplace. Co-Sponsors: Association of Yale Alumni, Association of Asian American Yale Alumni, Yale Alumni Nonprofit Alliance, Yale Black Alumni Association, Yale Latino Alumni Association, Yale Gay and Lesbian Alumni/ae Association, Yale Graduate School Alumni Association, Yale Science and Engineering Association, Yale Veterans Association, YaleWomen, Careers, Life, and Yale; Yale College Dean's Office, Graduate School of Arts and Sciences Dean’s Office, Office of Career Strategy.